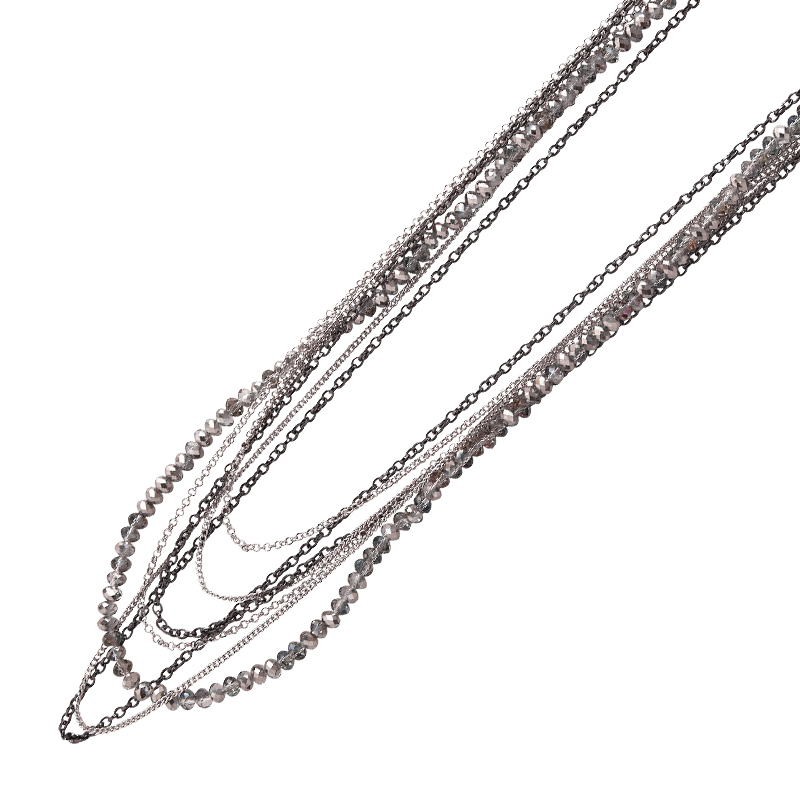 Staggered black chains mix with strands of smoky gray glass beads. 34 inches long. Toggle & ring closure.